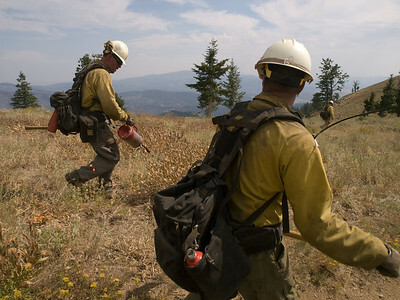 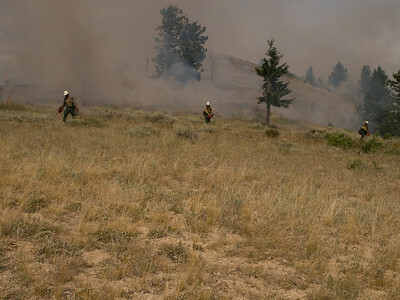 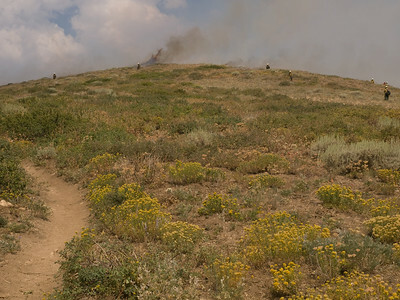 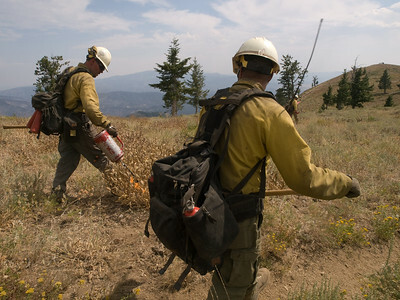 Two-day burn operation in Division Echo, 08/17-18/2013, to secure the line between Lava Ridge and the mouth of the Smith Creek drainage north of Prairie; with Sliver City Hotshots, Craig Hotshots and Ironwood Hotshots lighting and holding. 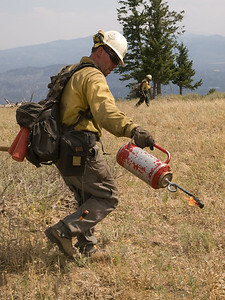 Division Group Supervisor (T) Terry Sonner. 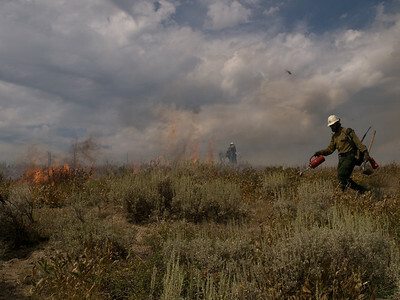 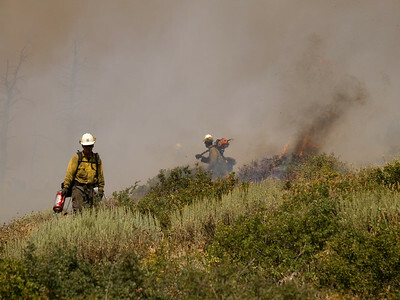 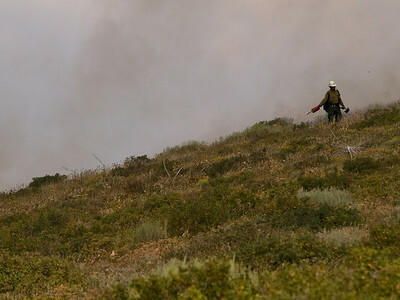 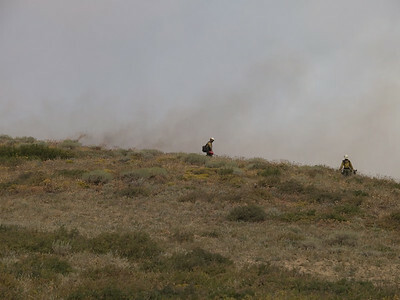 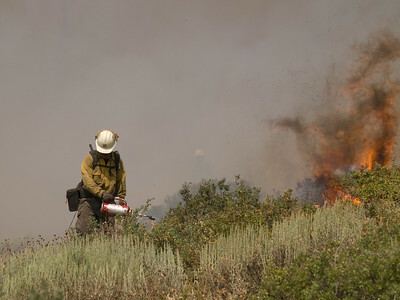 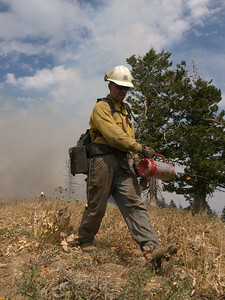 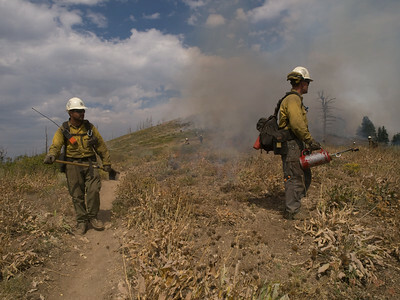 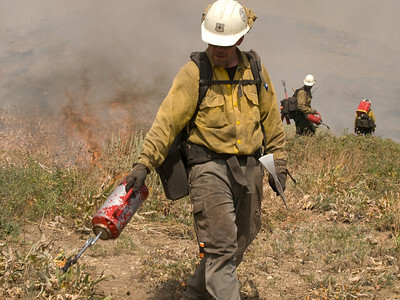 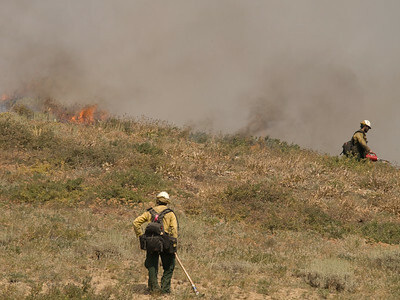 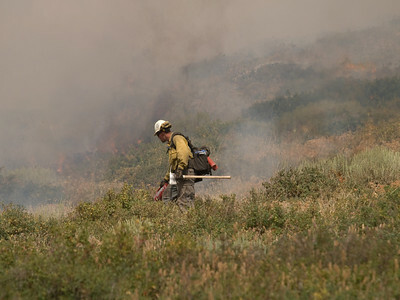 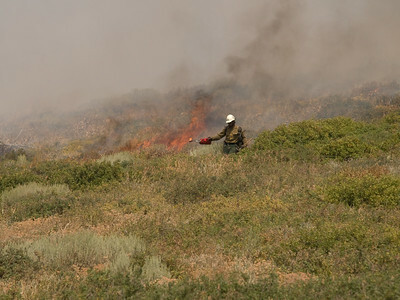 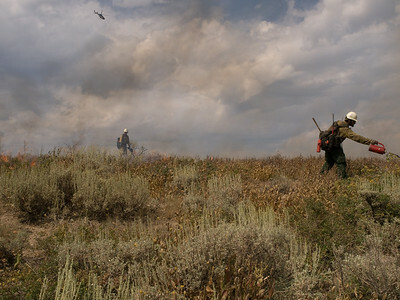 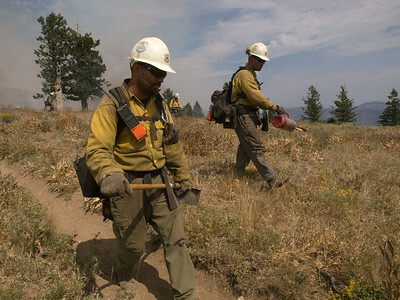 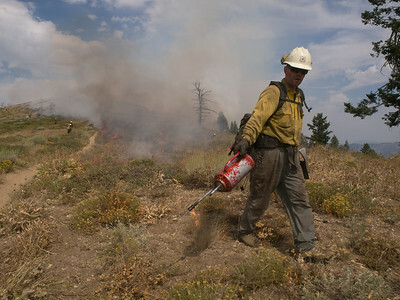 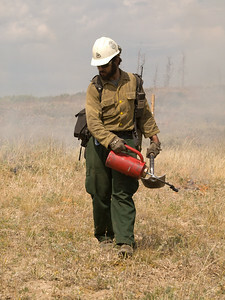 Use of low intensity ground fire, handlit with drip torches and fusees and aerial PSD ignition interior; helicopter water drops pretreating the green and supporting the lighters; water pumpkins with pumps and hoselays, and engine support to cool the fire's intensity along the way; holding resources, Jicarilla #2 Hand Crew. 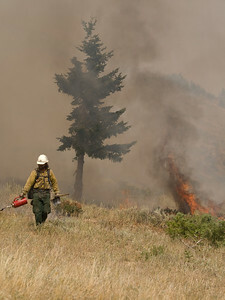 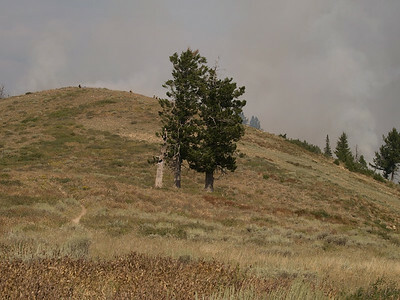 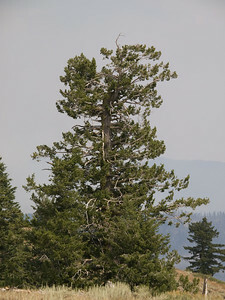 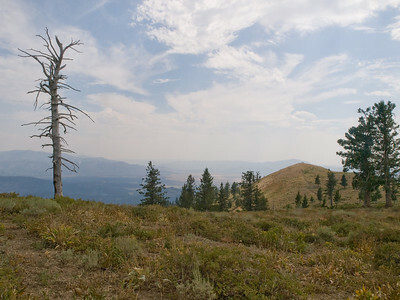 The large column is natural fire burning interior in upper Smith Creek.